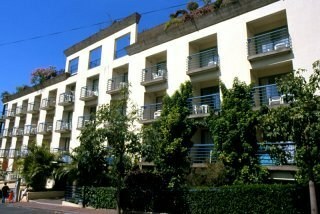 The hotel is located in the best area of Funchal, situated roughly 500 m away from the sea and the saltwater swimming pool, Lido, and around 2 kms the centre. The nearest shops, bars and restaurants are around 10 minutes away on foot. The airport is located within 22 kms. This apartment hotel was renovated in 2008 and comprises a total of 43 guestrooms. The tasteful, modern studios and apartments all come with an en suite bathroom, a kitchenette with a microwave, a fridge, a 2 plate electric stove, kettle, cutlery and crockery. In addition, individually adjustable air conditioning and a balcony are also provided in all accommodation as standard. The roof of the building features a heated swimming pool and a roof terrace with sun loungers with covers, parasols and a beautiful sea view. The hotel grounds feature a sauna and a hot tub.